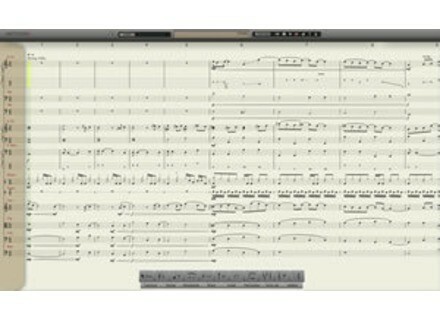 Notion3, Score writing software from Notion Music. Getting started quite difficult at first, trouble free installation. Windows 7 64 bit 6 MB of ram, no problems running. Used with the complete collection of call East West, and Miroslav Philharmonic. It is a slaughter, the ultimate composition software, which I heard in a forum of East West, free demo allows you to make a preview, fully functional. 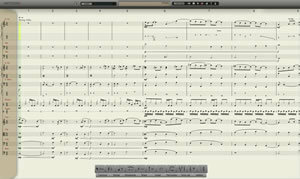 Had already used the demo of Finale and Sibelius, which is probably good for print beautiful scores but complicated the management of VST, the software it is especially dedicated to the management of virtual instruments. The software to possess if one wishes to compose on and brought in real time and hear his music mixer vst. Mixer makes it possible to include effects vst vst instruments in addition to the scope inserted. Can even incorporate samples and audio files, the software is sold at a ridiculous price. Notion Music has announced that Notion3, a major new version of its notation software, will start shipping on September 24, 2009.